The master of travel writing at his most elegiac and luminous best tackling an arduous Tibetan mountain and his mother's recent death. 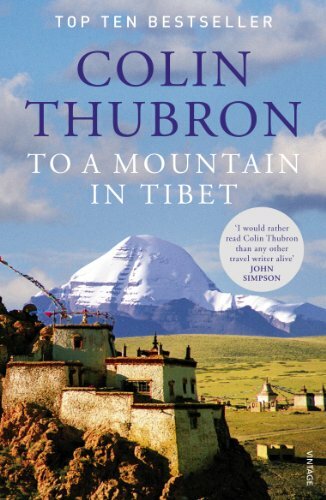 Colin Thubron's To a Mountain in Tibet is a memoir of discovery and loss, chronicling the author's journey to the holiest mountain on earth, the solitary peak of Kailas in modern-day Tibet. To Buddhists and Hindus, it is the mystic heart of the world and an ancient site of pilgrimage. It has never been climbed. Thubron undertakes this journey in the wake of his mother's death, using the pilgrimage as a lens to examine both his deeply felt loss and his lifelong need for solitude, which has shaped his career as a writer—one who travels to places far outside his own history and culture. A vivid and powerful travelogue through an evocative landscape, To a Mountain in Tibet provides a fascinating encounter with the mythic and spiritual traditions of a foreign culture—encapsulated in the wondrous insights of an intimate personal voyage. COLIN THUBRON is the master of classic travel writing, and a previous winner of the Thomas Cook Travel Book Award. His first writing was about the Middle East -- Damascus, Lebanon and Cyprus. In 1982 he travelled all over Russia in an ancient Morris Marina -- pursued at every stage by the KGB. From these early experiences developed his travel books: Among the Russians, Behind the Wall, The Lost Heart of Asia and In Siberia. So great is his dedication to travelling in Russia and China, that he has learned Russian and Mandarin in order to be able to speak to ordinary people en route. In 2010 Colin Thubron took over the presidency of the Royal Society of Literature.